Hi everyone~thanks for stopping by yesterday and I loved your sweet comments on my scrappy space!!! 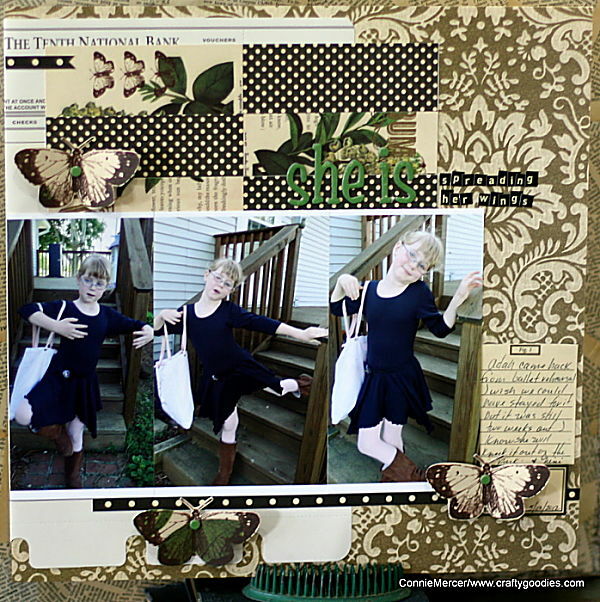 Today I'm showing you another layout I did for the Jenni Bowlin online crop a few weeks ago. This one is using Haven. Love the butterflies and the polka dot paper together. You can't buy the metal container anymore only paper, cool find!! I have really been busy, can't wait to show a couple of special things~but soon!!! If you misssed the feature on Craft Storage Ideas you can see it here. Have a great day and I'll see ya soon! GORGEOUS layout! 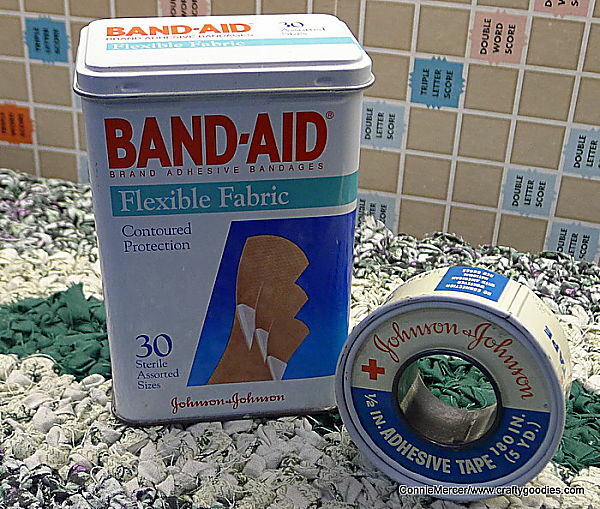 I miss the bandaid tins! oh what a lovely layout!! 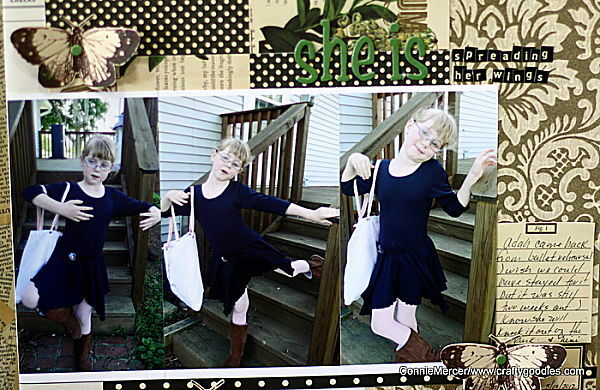 and talk about adorable photos!! oh sooo remember the tin containers! oooooooo beautiful page. love it. and yup tins. swoon. I love JBS Haven. Great design and color. I do love what you are doing with the photos. FAB lo as always! Love all that pattern and that metal bandaid tin is so cool! Your lo is GORGEOUS! I love love love the colors, the photos and loveeeeeeee the butterflies!! And loving the antique goodies you got!!!!! I love the papers with the photo sequence. I remember the metal boxes!! Great for craft room storage too! That is a great page too! What a sweetie your Mom is. I agree those tins are precious. Cool layout for those wonderful snaps of her. And you are right about not finding the metal containers anymore - I just bought some medical tape to transform to washi tape and it was in box on a paper roll - not nearly as cool as the old way.